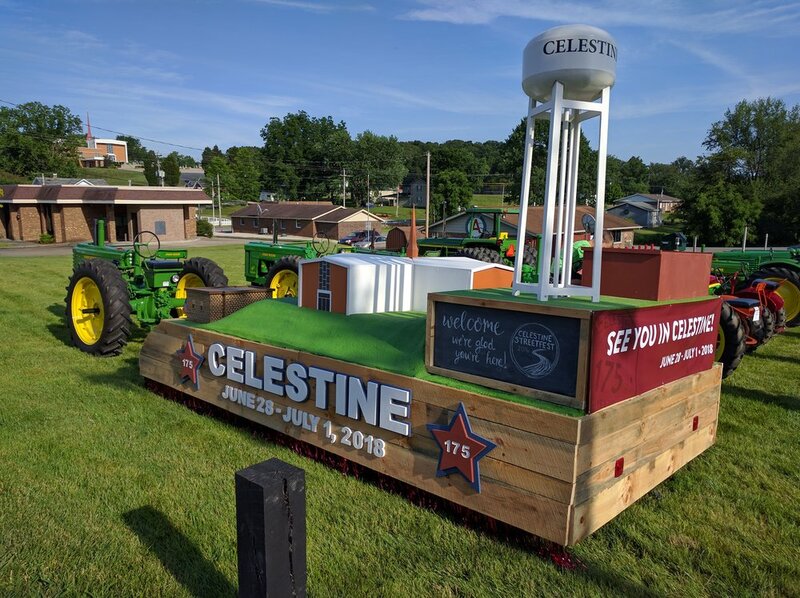 Now that the 175th celebration has come and gone, the Community of Celestine Inc. is looking for anyone who may want to take over the award-winning Celestine 175 float. It would be wonderful if someone would form a new committee, store the float and exhibit it at parades such as Strassenfest and the annual Streetfest to keep the fun going and Celestine top of mind. If no one comes forward by July 30th, the float will be disassembled for parts. If interested or for more information, please contact Kelly Bieker at (812) 639-7630.